We've ranked the winners, and the best. Here are the rest: The non-winning finalists, and the best non-finalists, ranked by Survival Average (SurvAv). The BRobbed G.oddesses, perhaps. We've listed place finished and season type (Final 2 or Final 3) for both groups. For more complete stats, see the scoring data for that specific season (drop-down menu, above). Remember that SurvAv = ChW + wTCR + (6 * JV%), so this is a bit more of an apples-to-apples comparison, since non-finalists don't even have the chance at 1/3 of their score coming from jury votes. *Important note: Paschal English's score is a bit inflated, since he left the game without being voted against (thank you, purple rock). 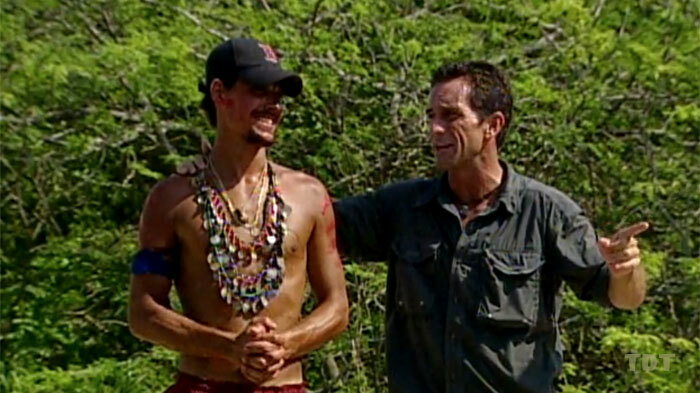 Also, we had to cut the table off somewhere, but we should note the lowest SurvAv score, ever, by a finalist is: Phillip Sheppard, Redemption Island, with a 2.54 (note that 0.6 of this comes from the jury vote Ralph gave him). That's really something. **F4 firemaking: Similar to Paschal's inflated scores, people who leave without a vote via F4 firemaking also end up with somewhat inflated scores. Devon Pinto and Kara Kay had one VAP total between them.